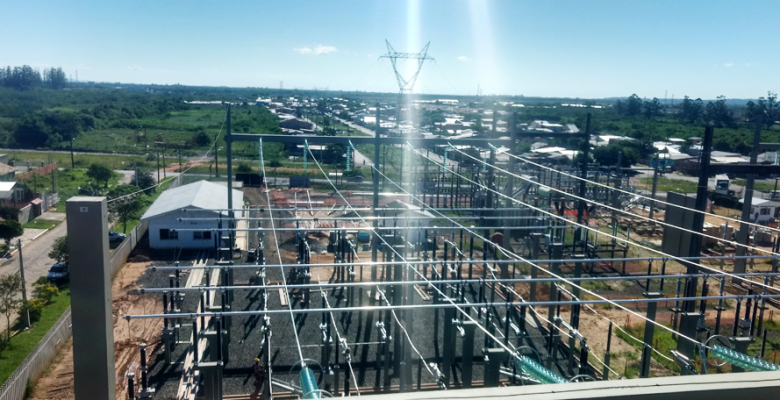 The VISION Group successfully powers the Canoas 1 – 245kV – 100MVA substation in the municipality of Canoas / RS, the State Electric Power Generation and Transmission Company (CEEE-GT). The scope of supply included the preparation of civil, electromechanical and electrical executive projects, the supply of 245kV and 24.2kV equipment (transformers, SF6 circuit breakers, disconnectors, CTs, TPs, lightning rods and capacitor banks), the supply of Control, supervision and telecommunications systems, auxiliary service panels, rectifiers and battery banks, RTD testing, civil works execution, electromechanical assembly and complete commissioning of the substation. Also, adjustments were made in 245kV transmission lines for connection to the new substation line modules. CEEE Group operates in the energy sector throughout Rio Grande do Sul in the segments of generation, transmission, distribution and commercialization of electric energy. CEEE-GT has a nominal installed capacity of 7,000MVA and is responsible for most of the installations that make up the state’s basic transmission network, with a 5,800km extension in transmission lines. Canoas is a municipality belonging to the metropolitan region of Porto Alegre. The municipality has the second largest GDP and the fourth largest population in the state of Rio Grande do Sul.